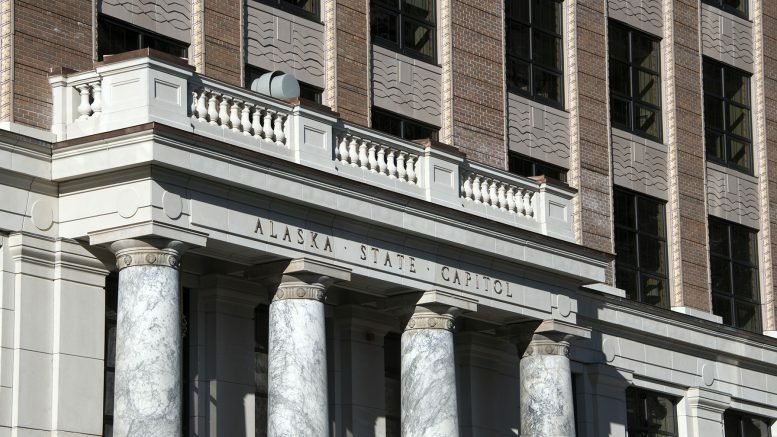 Rep. Zach Fansler’s resignation from the Alaska Legislature has become official, Senators are grappling with an off-list pick to replace Mike Dunleavy and the Olympics are underway. Here’s what happened in the fourth week of session and what to look forward to. Just 63 days to go (enough for Senate Republicans to reject Gov. Bill Walker’s pick six times). Like it did with the seat once held by Rep. Dean Westlake, the Alaska Democratic Party has opened applications for House District 38 to replace Rep. Zach Fansler, who’s accused of assaulting a woman. This process will be overseen by Fansler’s former legislative aide Ben Anderson-Agimuk, who resigned from the Legislature in order to focus on the job of finding a replacement for Fansler according to a report by KYUK. Fansler got paid per diem through Sunday, accruing more than $5,000 in per diem payments since the Juneau Empire story drove him from the capitol (which he should consider donating to the Tundra Women’s Coalition). His resignation will become official later today. The replacement process now kicks off for a third time this session, and maybe Gov. Bill Walker will stick to the list. Gov. Bill Walker has picked Mat-Su Borough Assemblyman Randall Kowalke to fill the seat left vacant by Mike Dunleavy, who jetted to seek the Republican nomination for governor. The off-list pick had been rumored for weeks, but apparently took everyone in the capitol and the Republican political world by surprise. Now everyone is scrambling to figure out what to do with the appointment, and whether they want to let the seat continue to sit vacant (it’s been empty all session). Kowalke applied to fill the senate seat, but doubted he had a chance to be advanced to Walker because of “bad blood” between him and Doyle Holmes, one of the district party leaders. Kowalke beat Holmes for his assembly seat in 2015, but Holmes contested the results and accused poll workers of tampering with ballots. If Senate Republicans reject Walker’s pick, the governor will have 10 days to appoint another eligible person to the job. The last time there was a multiple appointment fight over a vacancy was in 2009 when Gov. Sarah Palin rejected Beth Kerttula and several other picks for a vacant senate seat before the two sides settled on Sen. Dennis Egan. “Blame Republicans, not Walker for Dunleavy replacement fiasco,” says Mat-Su Frontiersman publisher Dennis Anderson. Anderson explains why the three names put forward to Walker gave the governor little choice. The House passed an education budget, or didn’t depending on who you ask. The one thing that’s for sure is that, as is, it doesn’t have any funding attached to it. Expect Republicans in the House and Senate, which now has possession of the bill, to make a lot out of the House Majority Coalition’s unfunded education budget. The question is, however, whether the Senate will put money back in the bill and pass it back to the House. Wrestling, boxing and MMA fans rejoice. Gov. Bill Walker has introduced legislation to repeal the Athletic Commission, which hasn’t had commissioners since 1997, and repeals the licensing requirements for professional boxers, wrestlers and events, which themselves were discontinued in 2002. It’s mostly a clean-up bill, and won’t really result in unlicensed backyard boxing matches as most of these activities are regulated under a fee structure put together by the state’s professional licensing agency. According to the bill’s fiscal note, the Athletic Commission carries a debt of about $15,000 that will need to be retired through the legislation. Alaskan Keegan Messing, who visited the Alaska Legislature before heading to Pyeongchang, didn’t take the ice during the team figure skating events over the weekend, but the Girdwood skater was there to cheer along his teammates from the box as they took the gold medal. His preferred programs are later this week. The Senate Judiciary Committee met for the very first time of the session on Monday. The committee didn’t take up one of the more than 20 bills in committee, but instead heard the Alaska Children’s Justice Act task force. Last week, the Senate passed Senate Resolution 7 naming the Jan Faiks Conference Room 18-0 (Giessel); Senate Concurrent Resolution 10 proclaiming 2019 the Year of Innovation in Alaska 18-0 (Costello); Senate Bill 4 to create licenses for non-chemical barbering and hair braiders 17-0 (Micciche); Senate Bill 152 to name Sept. 11 “Patriot Day” 19-0 (Meyer). The House passed House Bill 236 to extend the senior benefits program 35-1 (Kawasaki); House Bill 287 to early fund the education budget 33-3, but failed the CBR vote to allocate money to it 20-16 (Seaton). Be the first to comment on "AKLEG Recap, Week 4: Democrats open applications to replace Fansler"